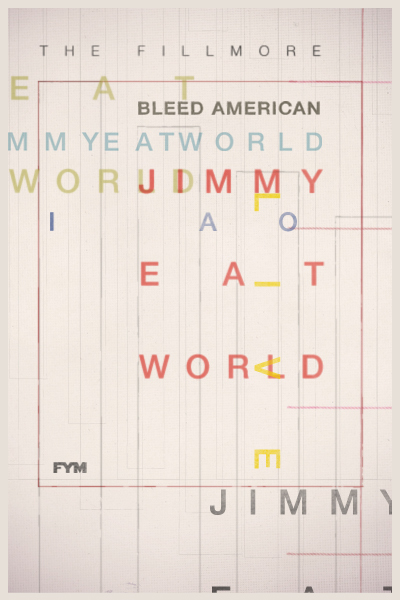 Jimmy Eat World released Bleed American July 18th, 2001, a masterpiece of an album which catapulted the band straight up the sonic ladder to mainstream rock radio success. Jimmy Eat World went through a lot, tirelessly pushing to produce the record on their on -working day jobs, scratching and surviving to make it happen. The hard work paid off as a bidding war ensued ironically with their former label Capitol Records and Dreamworks (who ultimately won in the end). 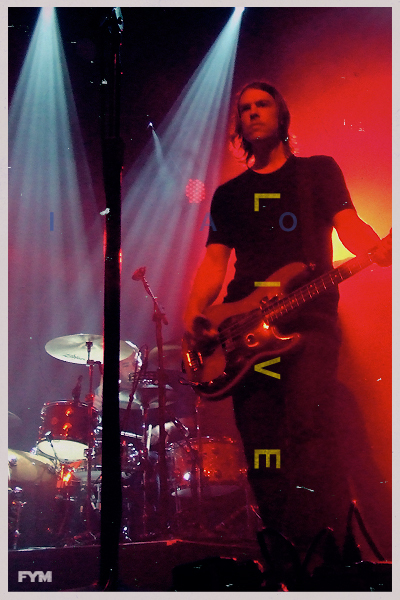 This past Monday September 26th, 2011 -FYM had the chance to hear this momentous time capsule of our youth in it's entirety live at The Fillmore in San Francisco USA. During the set lead singer Jim Adkins reflected -that the album having been out for 10 years now makes you have one of those old people moments. 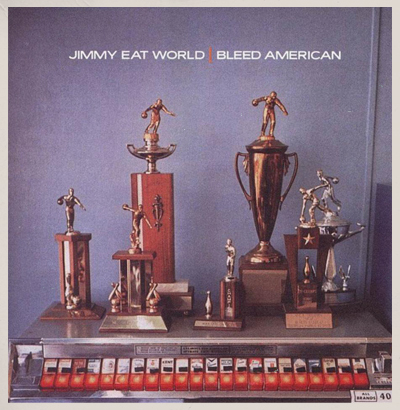 Jimmy Eat World the rest of the night didn't have much to say to the San Francisco sea of dedicated followers, instead they let their tour de force album Bleed American speak for itself. 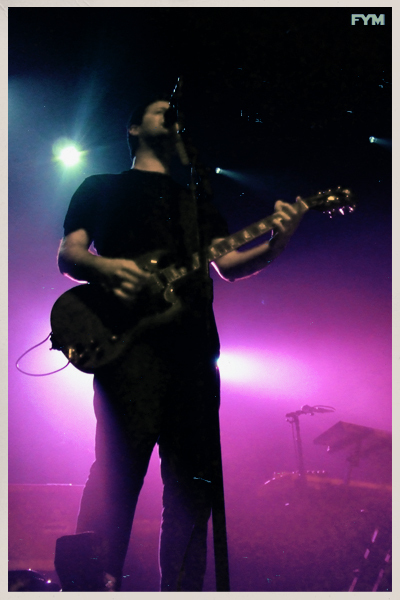 Throughout the entire performance Jimmy Eat World had to compete with an audience passionately singing word for word back to them what they had produced over a decade ago. Perhaps giving the crowd meaningful flashbacks (at least it did for us) of their former selves at impromptu teenage dance parties, learning to drive in vacant parking lots (while Bleed American was on the car speakers), and playing this album on repeat via a cd player instead of an iPod. The second that Sweetness vocals started, the entire room of the historic Fillmore echoed with their best Whoa, oh, oh, oh, oh, oh's. When Hear You Me began a disco ball lit up the room with luscious acoustic guitar tempting everyone to slow dance like it was their High School prom. It was a nostalgic night filled with fond memories, proving that Jimmy Eat World's Bleed American is timeless classic, that still sounds as fresh as it once did 10 years prior. Cheers, FYM.